The 2019 Honda Insight was recently named a Top Safety Pick+* by the IIHS! This highly efficient vehicle proves that it’s good for more than great milage and a comfy drive. It also performs admirably in crashworthiness tests, primed to deliver you safely to your destination. Wherever you go, the new Insight is ready to take you there in style, safety, and comfort! In order to qualify for the 2018 Top Safety Pick+ award, the 2019 Honda Insight had to earn “GOOD” ratings in the driver-side small overlap front, moderate overlap front, side, roof strength and head restraint tests, and an “ACCEPTABLE” or “GOOD” rating in the passenger-side small overlap test. To earn this particular acknowledgement, a vehicle also needs to have an available crash prevention system that earns an “ADVANCED” or “SUPERIOR” rating and available good-rated headlights. Every new Honda Insight provides the Honda Sensing driver-assist and crash-prevention system as standard equipment! 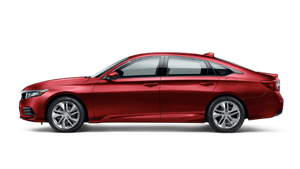 Honda Sensing provides the Collision Mitigation Braking System with Forward Collision Warning, the Road Departure Mitigation system incorporating Lane Departure Warning, a Lane Keeping Assist System, and even Adaptive Cruise Control. This awesome hybrid went on sale just this summer, offering excellent power and passenger space as well as appealing style and driving sophistication. The 2019 Honda Insight has an elegant cabin with sporty details and an airy aesthetic that welcomes you in. The dash and instrument panel show off thoughtful details like fine double-stitching and soft leather trim. It offers comfortable seating on available perforated leather seats with ergonomic design and fine materials. It’s also spacious enough for five, plus nearly 15 cubic feet of trunk space. The 2019 Honda Insight also offers lots of modern features beyond its high-tech hybrid motor system. It offers features like the available remote engine start that let you start your car from up to 100 feet away, to get the heating or air conditioning started before you get in. It’s easy to connect your smartphone and keep it charged with a USB port and 12-volt power outlet. The Insight also features Sport Mode for an enhanced driving experience, as well as an Econ Mode for maximum fuel efficiency. The Insight is capable of getting some amazing milage, with up to 55 MPG** in the city! With all of this versatile technology, performance, comfort, and safety at your fingertips, the 2019 Honda Insight is an excellent choice for anyone. If you want to take a closer look at one of these amazing hybrids, stop by and visit us here in St. Paul, MN! Our expert sales team is happy to walk you through all the features and perks of the 2019 Honda Insight, so feel free to ask questions. Plus, if you find your new Honda here with us, you’ll be eligible to get the perks of our great Buerkle Rewards program. You’ll get benefits like two free oil changes, two free tire rotations, 5% back on parts and services, and more! We’re located near Minneapolis, Maplewood, and White Bear Lake, so stop by and see us soon! *with Honda Sensing and specific headlights.